Princess Amy is still little known, but it's not for long. It attracts with its sophistication and beauty. In this game you can pick up a few makeup ideas and choose dresses for the princess. I really liked the game "Makeup for Princess Amy" because it is realistic. In it, the choice of makeup is particularly cool and is as close to real as possible. Those who love makeup games will especially like this moment. Lipstick color, eyelash length, eye color, powder, and even eyebrow shape. All this can be changed in the princess and make her more attractive. 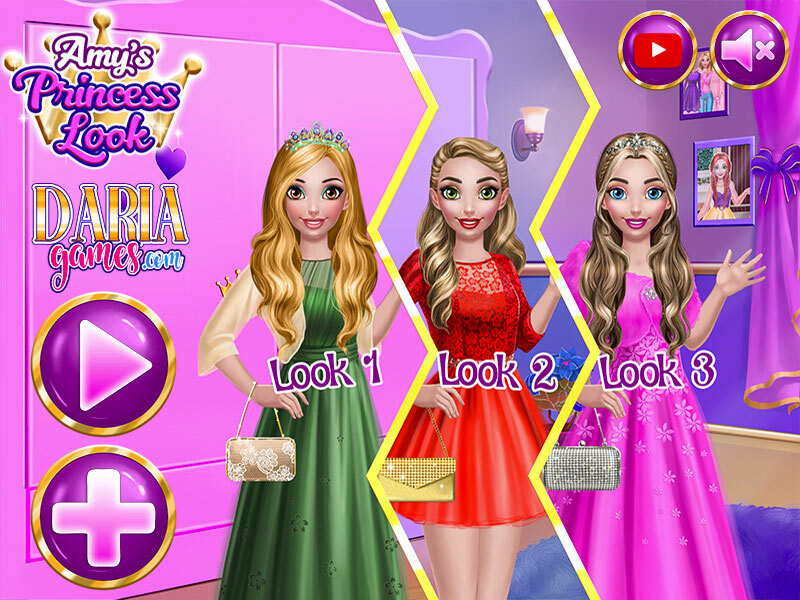 Amys Princess Look makeover game.